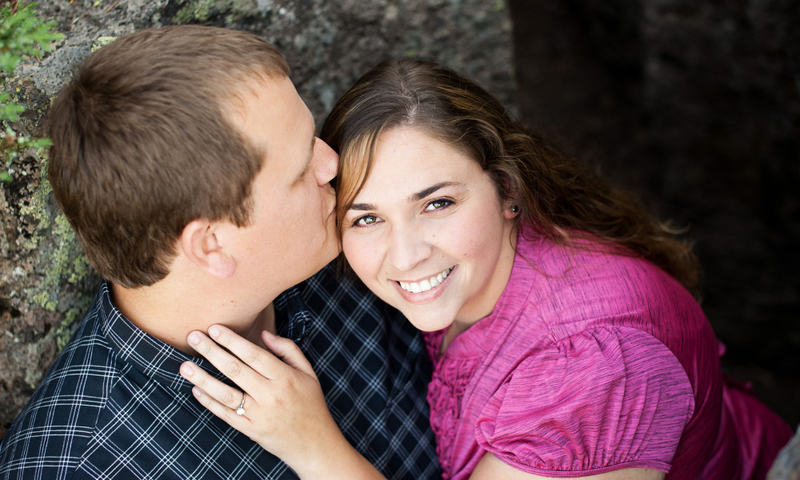 Lisa and Trevor were referred to us from Mandy and Gabe, another fabulous wedding couple of whom we captured their engagement photos in Newport Beach, Oregon as well as their wedding at BeckenRidge Vineyards in Dallas, Oregon earlier this year. A big shout … THANK YOU 🙂 … Mandy and Gabe for your support!!! 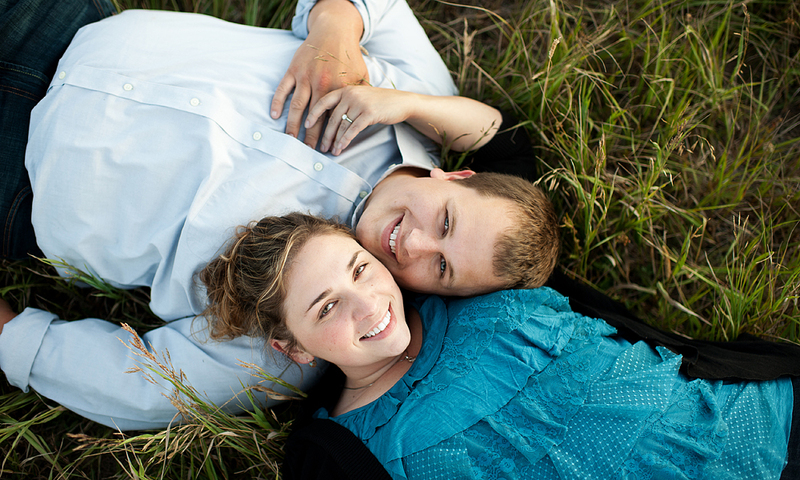 You can view Mandy and Gabe’s engagement photos and wedding photos here (ENGAGEMENT) (WEDDING). 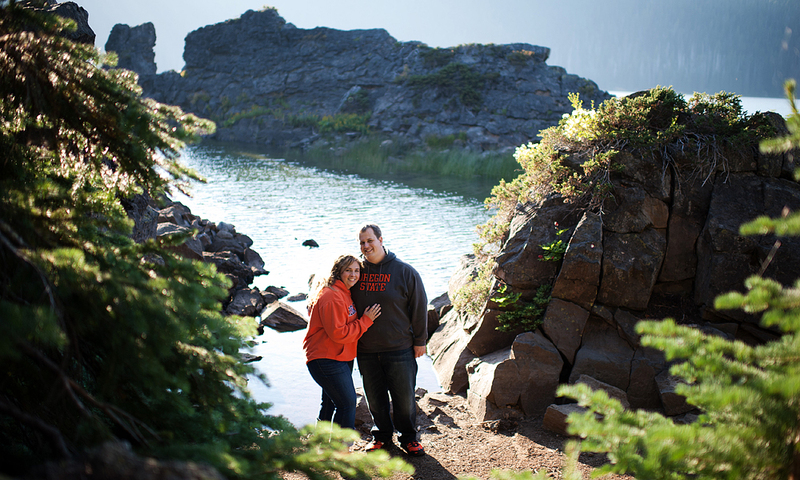 We had an instant connection with Lisa and Trevor as they shared all their plans for their upcoming fall destination wedding at Five Pine Lodge in Sisters, Oregon. 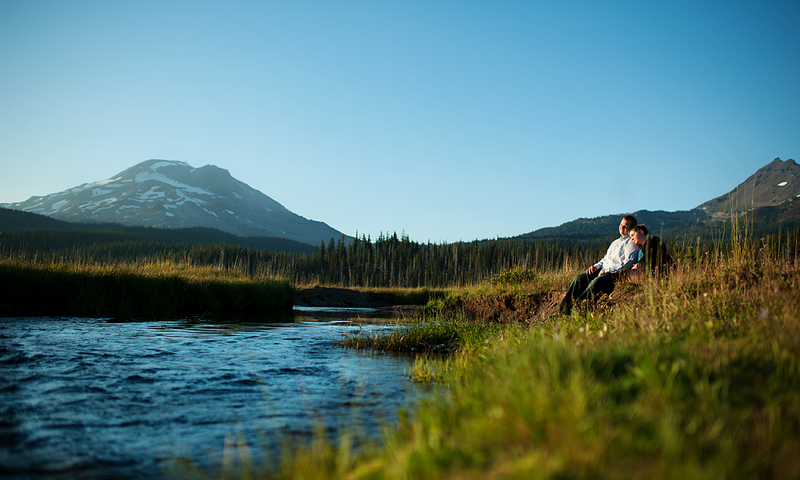 They traveled to Central Oregon just a few weeks ago to meet up once again for a fun engagement photo shoot at Sparks Lake. 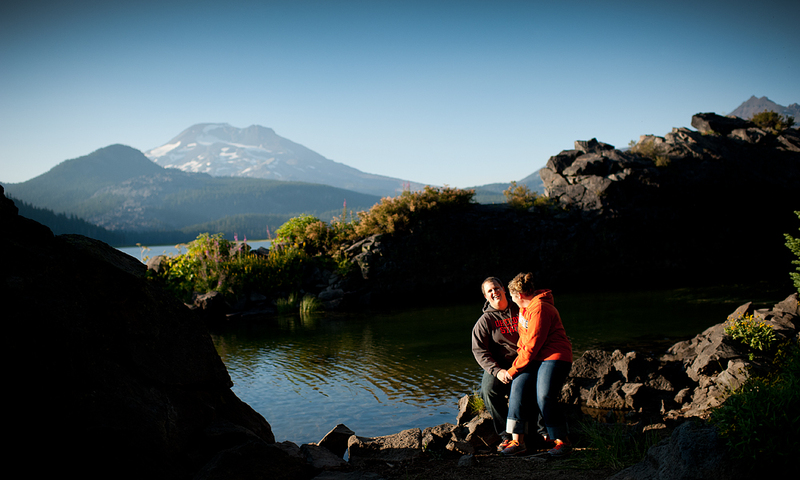 They had never been to Sparks Lake… so they enjoyed the breath taking scenic views. I think it made for a really fun and unforgettable experience for them. 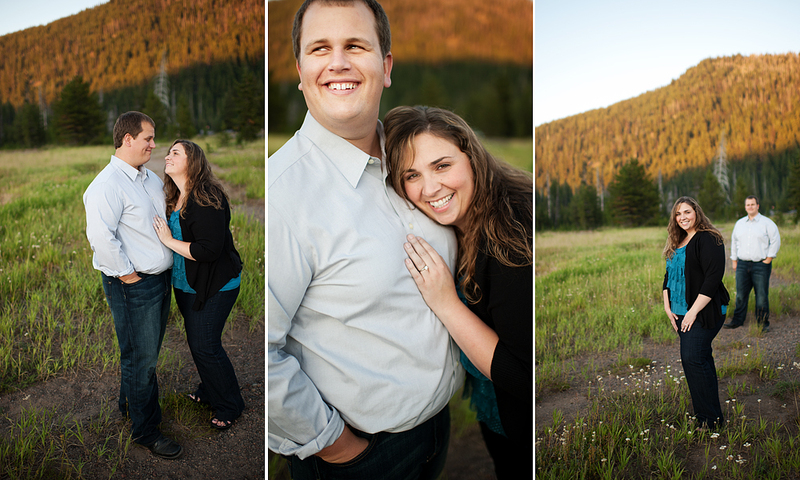 Here are just a few of my personal favorites from the day! 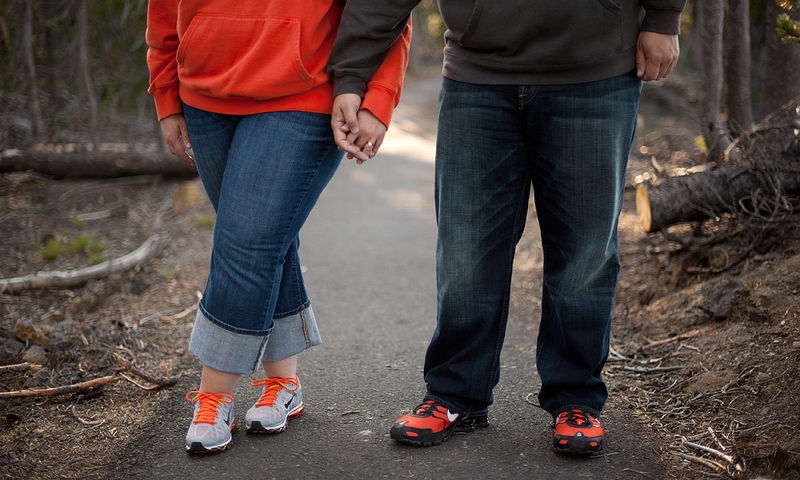 Lisa and Trevor are HUGE Oregon State Beaver fans as you can tell… Lisa even custom designed and ordered their nike Oregon State Beaver themed tennis shoes to wear for the photo shoot!